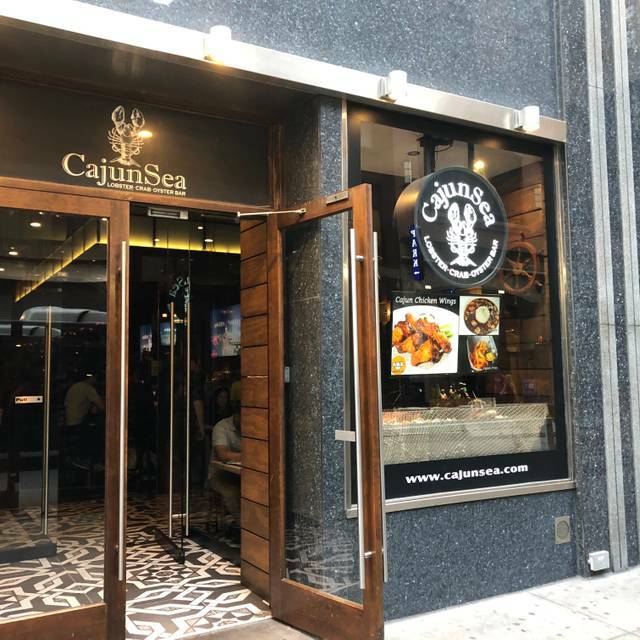 Whether celebrating a special occasion with family and friends or hosting a corporate outing, CajunSea can accommodate all your special event needs. CajunSea which means Cajun & Seafood. We’re dedicated to serving Cajun favorites like our spicy seafood boil, Fresh Northeast style seafood favorites & New American Dishes. 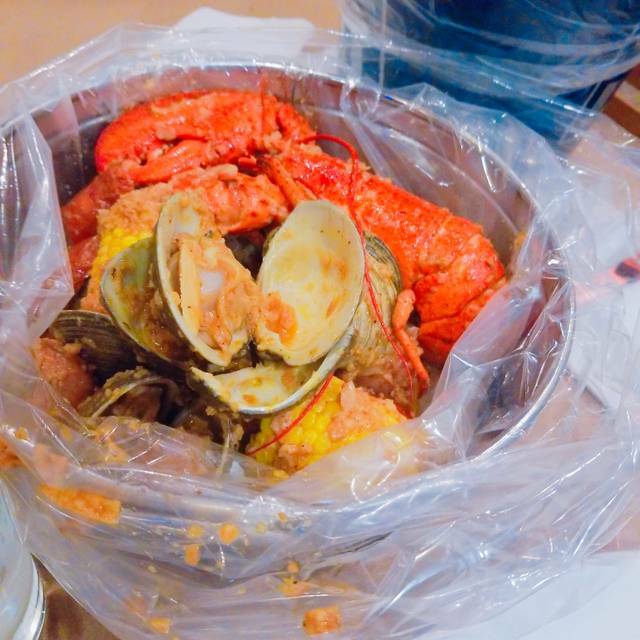 We specialize in Authentic Cajun Style Seafood Boils, Northeast Steamed Whole Lobster & Seafood plus offer some amazing selections of raw items like oysters, clams, shrimps and chilled lobster. All the seafood we carry is supporting either local or carry-imported shellfish. Finding comfort Cajun & New American seafood is now easy for New Yorkers. We’re able to bring flavors from the south to the north. This place was awesome! It had really good food, especially their wine and after dinner drinks! Oh I was in heaven. It was a reunion or sorts and perfect food to share with friends. Definitely going back! amazing robster! reasonable lunch! And restroom is so large, I could change my baby's diaper there. Staff were so kind. I love this restaurant. Loved the menu and the food. They were short on staff but tried their best service wise. It was alright. Not enough seafood. I was still hungry after I left and I spent close to $100. Didn’t give me enough crab legs. Definitely not going back. But it was a nice experience I guess. Overall great, the only thing I didn’t like was the music was very loud. It was amazing, just the smell alone as you walk in the place was filling. 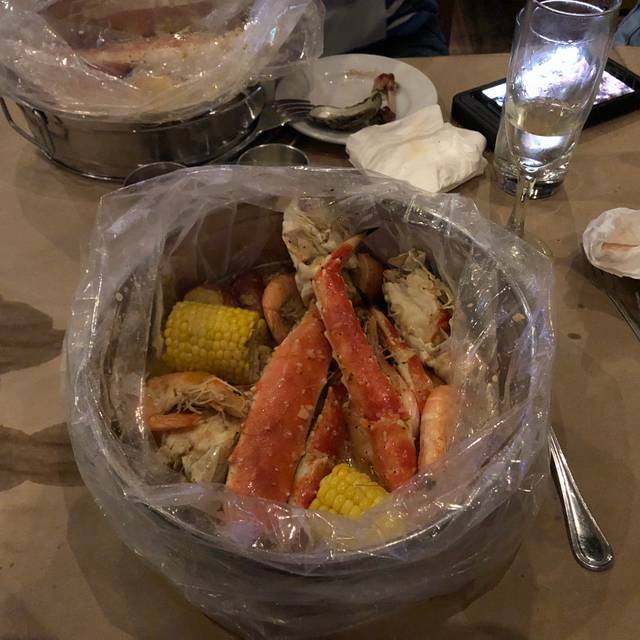 The food was amazing I had the snow crab legs and shrimp combo in cajun classic sauce. The only thing I would probably say is the price was a bit to much for such a small portion of crab and shrimp. Great location, amazing food and a nice ambiance. Would definitely recommend and return to this spot. Amazing restaurant. They were able to accommodate my party of 10. I had a wonderful time. 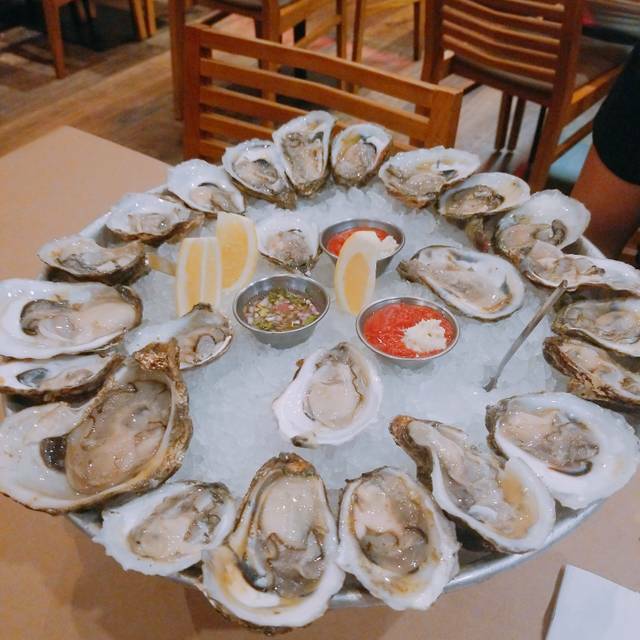 We ate there on 3/28 sat at the bar we ordered the 1.00 a shuck oyster happy hour after the first dozen ordered another they were fresh and plump. We also ordered calamari was crispy and fresh tasting. The bar tenders were very attentive. Our only issue was the menu specials on open table with app soup or salad main course 11/2 lb. 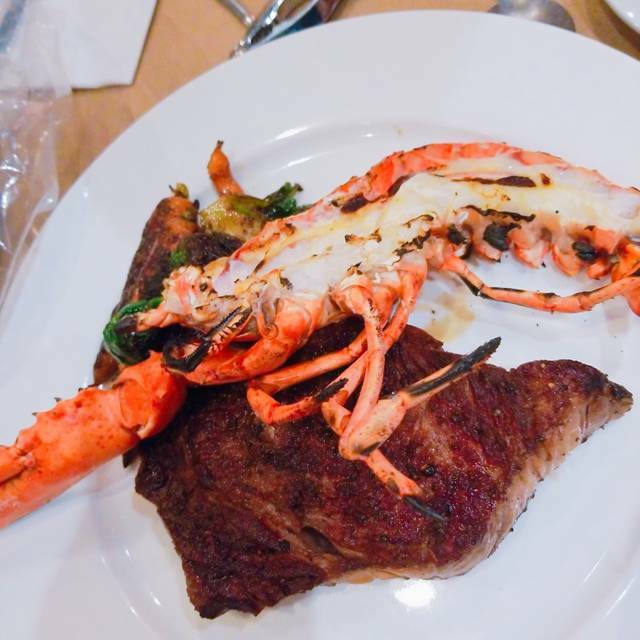 Lobster with shrimp other choices were king crab snow crab and rib eye steak all priced between 43 and 50 bucks alco included desert. When we tried to order the bar tender explained that they were specials for events or for catered events. They are not available for us to order the only reason we chose this restaurant was there specials and the value for NYC. We were disappointed and we think either open table or cajunsea should remove this area from the menu on open table so this cant happen again. Overall the food and service was above average. We were disappointed that we could not order what we went there for. It’s a place to have some decent but not great lobster and crabs. I believe the crabs are frozen ones so not exactly the most fresh ones. You can tell by how the shells are soft when you try to crack them. the food was great. service was good. I hope they add the catfish as a dinner not just appetizer. Touristy, midtown South location. On 3/17/19, an otherwise pleasant server brought a lobster roll incorrectly prepared and then, instead of offering to remake the order, replied "if it helps, I think it tastes better this way!". Staff in general were over eager to clear the table or take the check even though literally no one else entered the restaurant after we did. Oysters were fresh and tasty despite everything else. Fantastic seafood at reasonable prices. The lobster bisque is superb; crab legs, lobster, shrimp & etouffe couldn't have been better. This will probably become a regular dining spot for us. Good food, good service, nice ambiance. I would recommend it. One of my favorite places to go to in the city. Great menu, staff and best Happy Hour (5pm-8pm). The bartender Jessie makes the best Lychee Martini’s. Definitely recommend this place for oysters happy hours. They are very busy but still serving everything fast. Nice design and atmosphere. I've been a few times before and we chose to celebrate Mardi Gras there because it's Cajun. 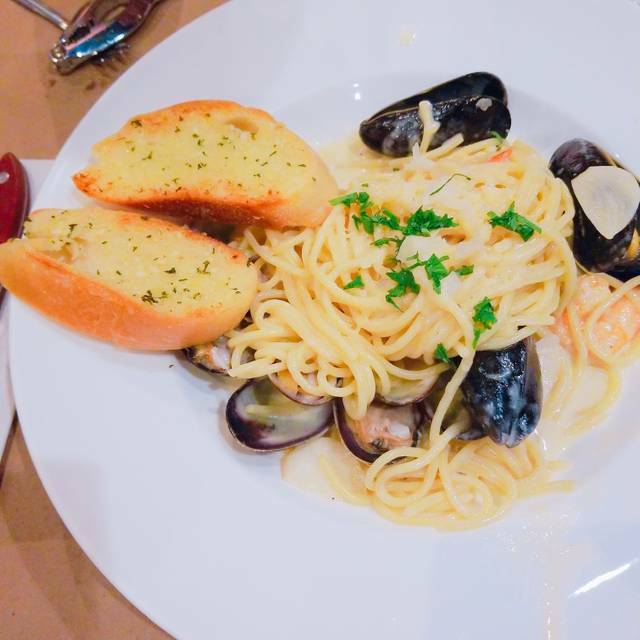 The food is good and the atmosphere is just right for a noisy celebration like that. Really good drink specials too. Word of caution, spicy means blistering hot. We had mild and it was plenty. Nice happy hour deals on drinks and oysters. Entrees were good. On Fat Tuesday you should be playing Cajun music or a New Orleans type music. Music was a turnoff and did not contribute to the ambiance. Birthday! Waitress was beyond attentive and friendly. They gave a me creme brûlée celebratory dessert! I’d definitely revisit it again! Another great dining experience here as I have come to expect! The snow crabs were delicious. Bread pudding tasted like yellow cake mix - no flavor whatsoever. Food was excellent and the service Was great, and our waiter Peter was freaking awesome will definitely revisit!!!! All I can say is...OMG! The seafood was amazing! The clams were huge, plump, and juicy. The shrimp were big and delicious. That cajun seasoning is 'out of this world '! The waiter was so kind and courteous. I will definitely be going back many times. Our son lives in Brookyln so we traveled to NYC from Philadelphia in order to have dinner with him. I asked him to find a seafood restaurant near our hotel. Cajun Sea was a 5 block walk from our hotel near Penn Station. So worth the walk & the food was delicious. Prices were a good value for NYC the three of us ate & drank for only $100. I had the lobster bisque and some or my sons calamari both were really really delicious. The ambiance of this restaurant is perfect for any occasion. We will definitely return to Cajun Sea upon our return to NYC!! Great atmosphere, very clean. Food and drinks were great! Especialy Happy Hour (until 8pm). I highly recommend for groups or a date. Waiter was very accommodating. We never felt rushed. The food was outstanding. 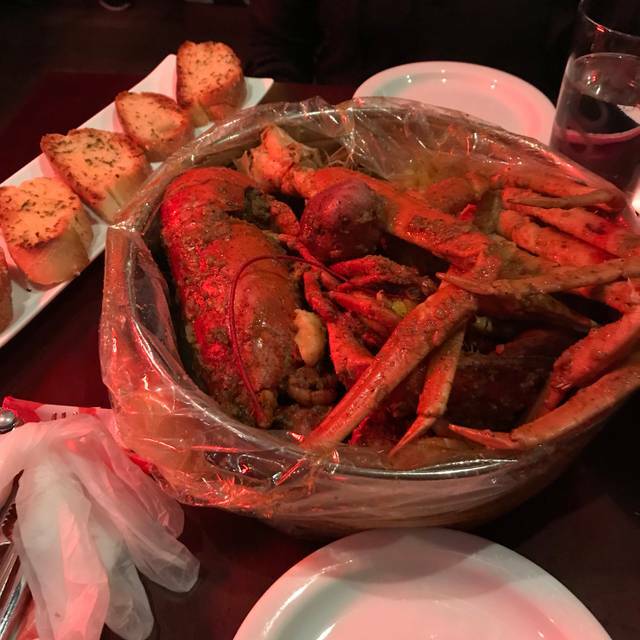 My husband ordered the lobster boil, extra spice. "Out of this world!" I ordered lobster bisque along with seafood on a spicy tomato sauce. Delicious! They even brought over a creme brola for my husband's birthday. My only fault were the drinks. They were similar to Shirley Temples. Seafood was fresh and delicious! 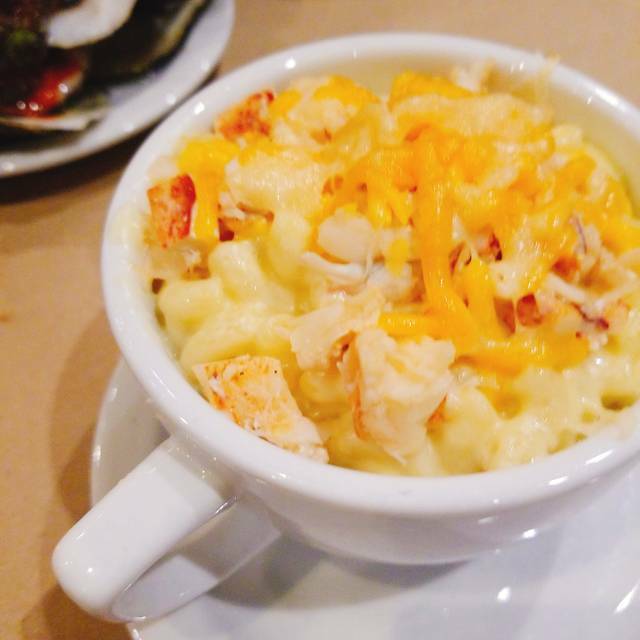 Great lobster Mac and cheese! No complains at all over here. Food was great drinks was great overall a great restaurant. My wife chose this place, and it was just, meh. 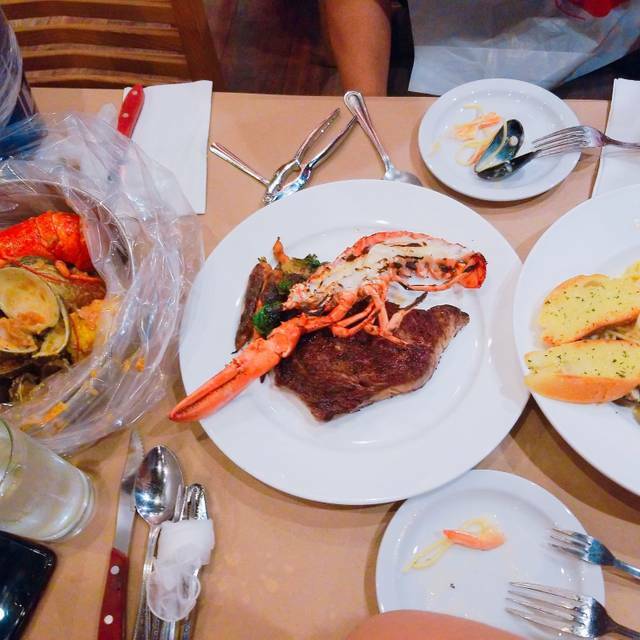 We had dinner around 7pm on a Saturday night, the place wasn't overly crowded, but our waitress wasn't very good. We had a very simple order (two lobster rolls), but we wondered if they had gone out to catch the lobster fresh since it took so long. Upon tasting our food, we both remarked that we'd had better lobster rolls, but this was an experience. The drinks were amazing. Made well and tasty. Food was Amazing. Seasoned well and filling. The staff was attentive and my overall experience was lovely. I'll definitely be back.